Everyone knows what it’s like to not get everything done. For freelancers, failure to finish a project on time can be costly, especially for those of us bootstrapping all of our expenses. So here are 7+ tools to help you save more time on the small stuff and spend more time on the stuff that makes you money. In your freelance business, you may often find yourself working remotely with distributed teams. While there are a variety of communication tools available for freelancers to use, I find it much easier to have all of them in one place, and that is precisely what unified communications tools do. 8×8’s unified communications tools combine virtual call center, messaging, customer reputation management, and virtual conference calling into one connected tool. This makes it quick and easy to manage everything in one place. Plus it saves you the trouble of having to keep track of 5 different communication tools. 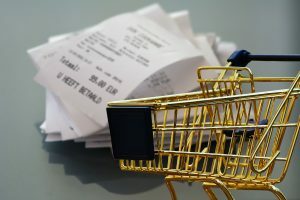 Ever kept a plastic bag of all of your receipts as your expert way of ‘managing’ your finances? No need to be ashamed, we’ve all been there. Fortunately, those days are over (or, at least, they should be). With the introduction of cheap and sometimes free tools like Quickbooks Self employed, keeping track of your expenses has never been easier. Use this tool to automate invoices, calculate receipts with snapshots, and automatically prep your expenses for tax season. Now you never need to worry again about losing a receipt or miscalculating your income. Everyone knows how painfully annoying managing your own taxes can be. It is especially troublesome for freelancers and other small business owners, making it really easy to push it off or not do it at all (hopefully you do, though). Turbo Tax allows you to spend less time crunching numbers and more time actually getting stuff done. With Turbo Tax, you can take a picture of your W2s and your information will be automatically filled in. You can also copy your filings from the previous year and it will ask you for all the necessary information to maximize deductions. If you’re still doing taxes the old fashioned way, I definitely recommend you give this a try. Ever showed up late to a meeting or completely forgot about it? I know I have, and if you’re anything like me, busy is an understatement. The only way I can manage all of my meetings effectively is using Calendly. I’ve tried other calendar scheduling software, but all of them were either too complex or clunky to use. Calendly provides a simple way for clients to schedule meetings with you and comfortably manage those meetings. It also integrates with Google Calendar so you don’t even need to manage two calendars (assuming you’re a fan of Google Calendar too). Oh! And did I mention that its basic plan is free? So you can thoroughly test it out and make sure it works for you. Regardless of what type of work you do, I am 100% sure that it will involve writing at some point. Even programmers have to write descriptions for their code. That being said, Grammarly is a great addition to your writing toolkit. 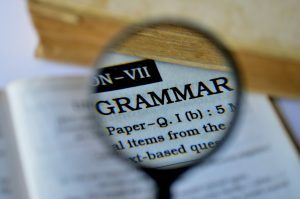 Its free plugin gives you updates in realtime about both grammatical and spelling errors, significantly reducing the time required for editing. Anyone who writes a lot of content will save themselves a great deal of time by using this tool. This one is for our more techie folks. Another great tool to increase your productivity is IFTT. It allows you to automate many of the things you do manually, like social media posting, schedule notifications, client communications, etc. IFTT connects with hundreds of tools and has even more recipes to automate many of the repetitive things we have to do daily. The best part is that this tool is also free. When collaborating with multiple people, it is often difficult to quickly identify what everyone is working on or how far they are in the process. Trello is a free project management tool that allows you to use things called cards and boards to keep everyone updated on the project status. Typically, each card is associated with a different task and the cards are placed on boards that represent projects. So, rather than having to message an employee or virtual assistant about the status of their work, you can just check the Trello board to see how far along they are. This pleasantly saves you from the usual slew of back and forth calls or emails. Managing your social media accounts can be very challenging and requires a lot of time to create good content to share across your channels. Another challenge is the fact that every platform requires your content to be specifically crafted for that platform. Hootsuite addresses this issue by allowing you to create one piece of content and format it for each platform simultaneously. In the world of freelancing, we all know that time is money. I recommend actually testing these tools out yourself to see how much they can improve your workflow. Hopefully these tools help you gain a little more time to make a lot more money. Good luck! IFTTT (yes, there are really so many Ts in the name 🙂 ) is my favorite tool. I like the option to create my own applets. Tasks like publishing Twitter tweets on Facebook automatically or publishing new blog posts (if you use self-hosted WordPress) are really cool and save a lot of time. Agreed! I still find it amazing how IFTTT has made it so easy for non-developers to create these automation tasks. I thought I knew a lot of productivity tools until I saw your post. It seems I only use like 50% of your list. I have never heard for QuickBooks and TurboTax. I will definitively check them as I believe that tools can really increase our productivity. I also use Pomodoro, which I have the app installed too. It helps me a lot and keeps me focused not to dive into other tasks. Yes, any variation of the Pomodoro technique is simply amazing. Thanks for sharing, Melos! I’ve tried Trello but I’ve never become a fan of it. I started to search for some other tools instead and I found Kanban Tool. In my opinion, it has all the features to serve as a great project/task/team management tool and it’s easy to use.